We produce bent details from pipe profiles, welded structures, sheet metal and profile steel cover hatches and barriers for the mechanical engineering industry. 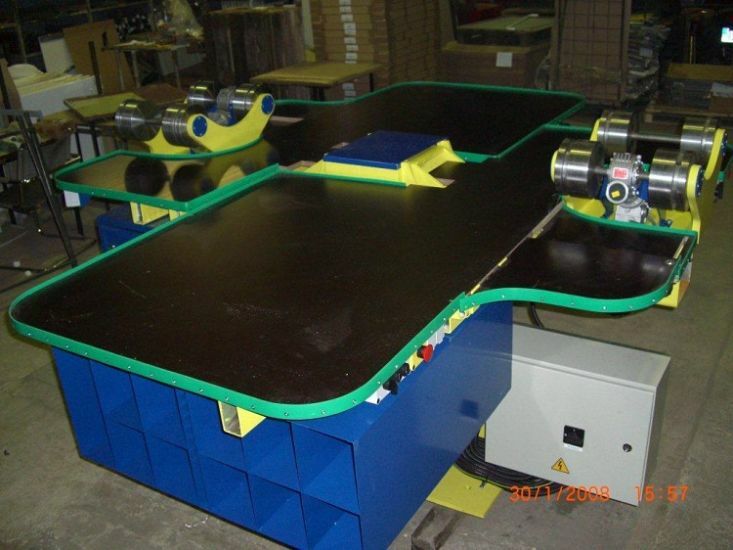 As ready-made products, we manufacture workbenches equipped with hydraulically lifted work surfaces and rotating support rolls that are used for wrapping electrical engines. We also manufacture hydraulic tanks for ATVs and other transport trailers. For example, your orders are successfully realised with the help of the modern CNC-controlled sheet processing centre Prima-Power F5.